I always wished they'd just add a Moogle race. 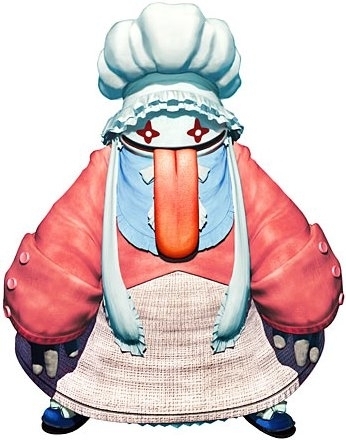 Failing that, I'd like to see a "Black Mage" race, like Vivi from FF9. Something that's a little more than a slight variation on humans. Though if we have to go that route, maybe Gria. YES VIVI!! We all love vivi! Oh, I made a thread about it a few years ago, and you'd be amazed at all the butthurt just at the suggestion of such a race. Though it was something like 15-20% of voters said that they'd want to play as that race, which to me is more meaningful than those who actively didn't want it in the game for no defensible reason. I'd pick that race in a heartbeat, personally. There seem to be a lot of those type of people tbh. People who don't want something and for that reason think it shouldn't be in the game at all. I mean I can understand it if someone doesn't want Garif if that means they don't get Gria (or w/e else race they prefer), but if the choice is Garif or no new race why say no new race when there are bound to be a lot of other people who would enjoy playing as that race? Doesn't make any sense to me at least. I would prefer it if that was more of a class/job thing given to like Morpher or Blue mage or something. Especially considering I haven't seen any information about race specific abilities it would be kind of weird to have one race have an ability like that imo (At least if it actually has an effect on stats etc). If Yoshida is really looking for design inspiration from other games, such as World of Warcraft, new races will probably be added in expansions. Just remember if they add the female Viera, everyone will want a male one too lol. One thing I love about FFXIV V1 and V2 is the 2 factions of each race. It's a really cool idea that players have always asked for in other games. To this day WoW players are asking to make red orcs and undead elves and such. Very cool of SE indeed. I'd like to see a new and unique race altogether. Aside from that, they could add playable beastmen races without messing up the lore too much. Seeq?....nah lol and ****** lore just whack em in! I'd roll a playable Quina race, too. Really, most anything that doesn't look like an analog of a human. Yeah, as I recall, it was about 25% who voted that they just didn't think it should be in the game, even if other players wanted it. Most of these people seem to be uncreative types who can't figure out how it would work, ergo, it can't work, so it shouldn't be added at all.